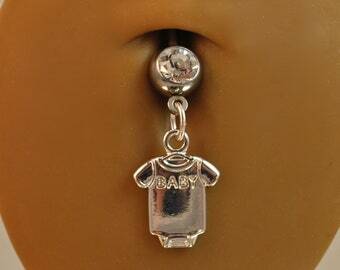 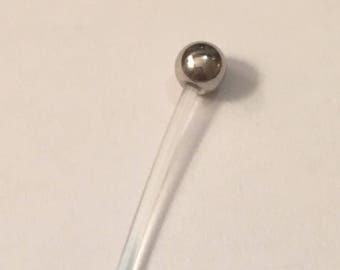 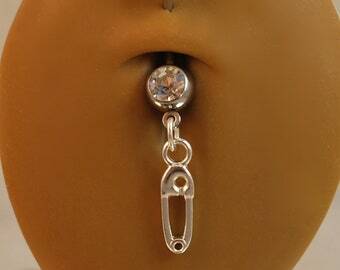 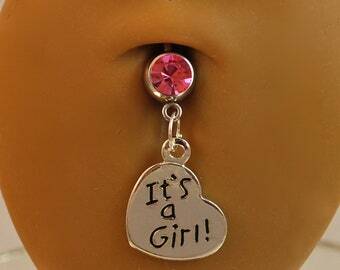 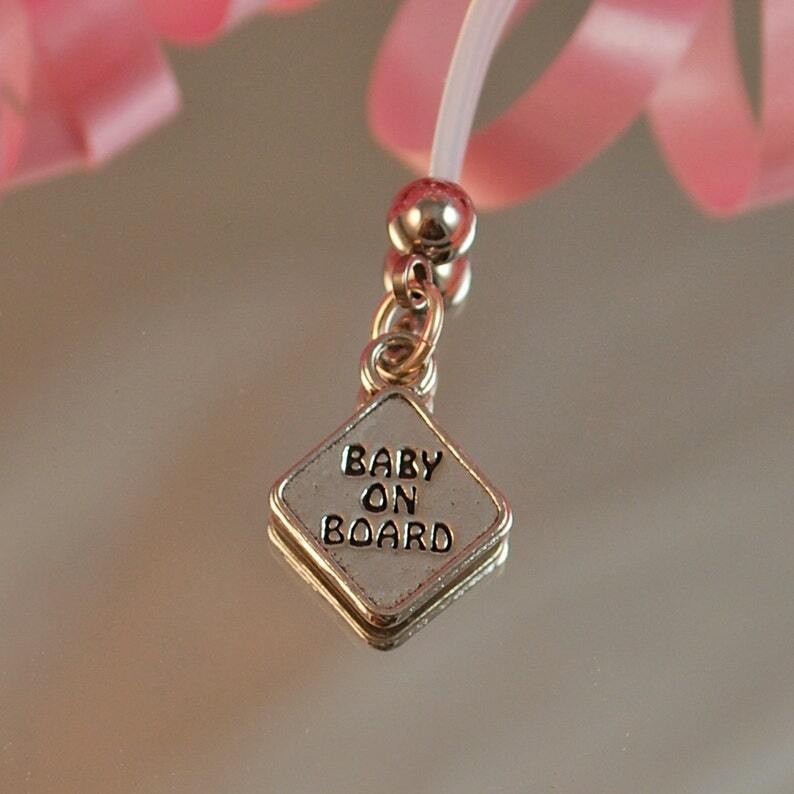 This flexible maternity belly button ring has a pewter Baby On Board sign charm attached to a flexible and comfortable PTFE bar. 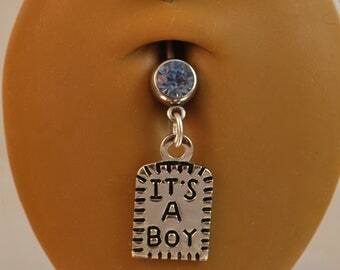 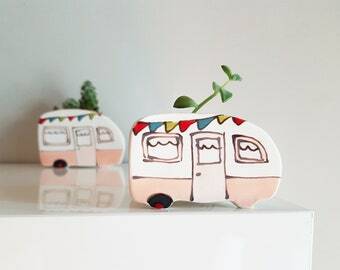 This charm looks almost exactly like the sterling silver version which is also available my website. 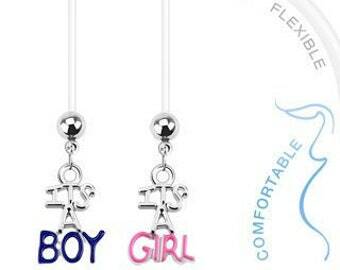 This charm gives you the look of sterling silver for a lot less.